Today we commemorate the founding of the well-known international non-governmental, environmental organisation, Greenpeace. Greenpeace grew out of the anti-nuclear protests in Vancouver, Canada in the early Seventies. On this day, 41 years ago in 1971, protesters boarded a chartered ship, which they christened ‘Greenpeace’, to protest the nuclear tests conducted by the US in Alaska. The name of the ship became associated with the protesters, and the Greenpeace organisation developed out of this protest. While its founding was not very formal, and many individuals were involved in the early days, a number of people have been singled out by Greenpeace itself as being influential in its establishment. These include long-haired, beardy journalist Bob Hunter, former entrepreneur David McTaggart and long-time activist couple Dorothy and Irving Stowe. 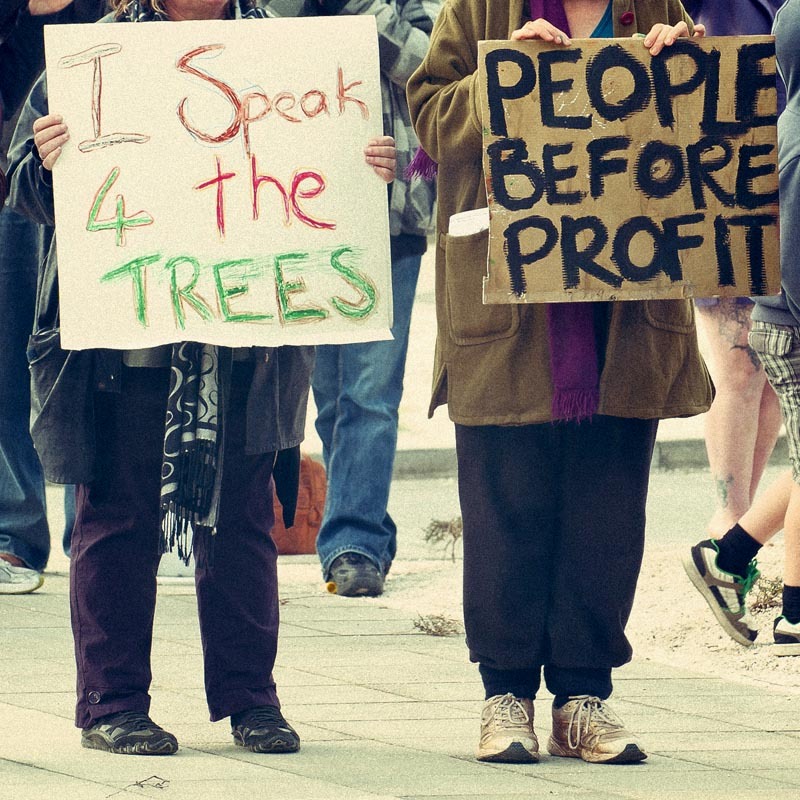 Over time the organisation spread to several countries, and their activities have expanded from anti-nuclear protests to campaigning on a wide range of environmental issues including climate change, deforestation, toxic pollution and agriculture. Whether or not you agree with the sentiments expressed by environmental activists, you have to appreciate the important role they play in the environmental debate. Greenpeace has been described as the most visible environmental organisation in the world. As such, they play an extremely important role in keeping sensitive environmental issues in the public eye, and influencing both the public and private sectors to limit negative impact on the earth and its people. They certainly don’t shy away from controversy, adopting a decidedly in-your-face stance against companies, organisations and activities they consider dangerous or detrimental to the environment. It is no surprise then, that Greenpeace has been on the receiving end of more than their share of lawsuits for reputational damage and lost profits. At a more shady level, some of Greenpeace’s enemies have also been reported to adopting rather unsavoury tactics, including spying, phone tapping, death threats, violence and even terrorism against the organisation. Greenpeace has been validly criticised for their sometimes fundamentalist and anti-science stance, with critics citing unfortunate cases where invaluable scientific research have been destroyed through their activities. That said, Greenpeace, and other organisations of their ilk, continue to play a critical role in the international environmental debate, and considering the multinational industrial giants they are up against, they probably need all the support they can get. I’ve weathered storms of wild rants against GP’s in-your-face tactics that you mention, and have thought that’s probably what makes the organization effective at all. Sometimes you reach a point at which being reserved and deferential doesn’t cut it. I applaud those guys for the most part, although I’m just now going to read up on the valid criticism you linked to. I totally agree, Sid. The big multinationals can be ruthless, to say the least, in achieving their aims, and a polite “sorry, you shouldn’t do that” definitely won’t make them repent and change their ways. That said, GP certainly isn’t above criticism, and, being made up of fallable humans, I am under no illusions that they are always in the right. In the final analysis, I do believe the world is better off with them, and others like them, to at least try and keep the balance.